SALT LAKE CITY – July 1, 2014 – Northrop Grumman Corporation (NYSE:NOC) has produced its 50,000 th G-2000 gyroscope, the world's smallest tactical grade, dynamically-tuned gyroscope in production, which is used for both military and commercial purposes. The G-2000 senses rate orientation for stabilization and targeting applications. 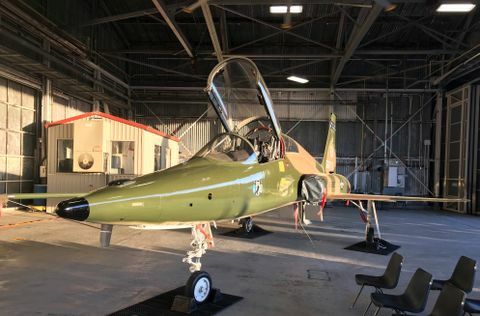 Since 1992, Northrop Grumman's Salt Lake City facility has produced the two-axis G‑2000 gyroscope for missile and torpedo guidance, as well as pointing and stabilization of electro-optical/infrared cameras, antennas, periscopes and radars. "The G-2000 offers high performance and reliability at an affordable cost. 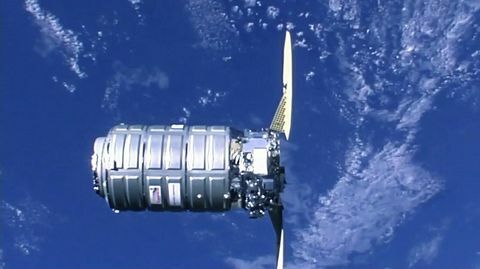 It's the gold standard for miniature dynamically-tuned gyros due to its higher engineering and exceptional consistency of quality, manufacture and delivery," said Bob Mehltretter, vice president, Navigation and Positioning Systems, Northrop Grumman Electronic Systems. "Although the gyro is small in size, its impact has been huge due to its role in national security and saving lives." The G-2000 supports national security through its use on missiles, including the Patriot Advanced Capability-3, Harpoon and AIM-120 Advanced Medium-Range Air-to-Air Missiles, among other platforms. In 2010, the G-2000 helped to guide the drill that rescued 33 trapped Chilean miners from an underground mine. 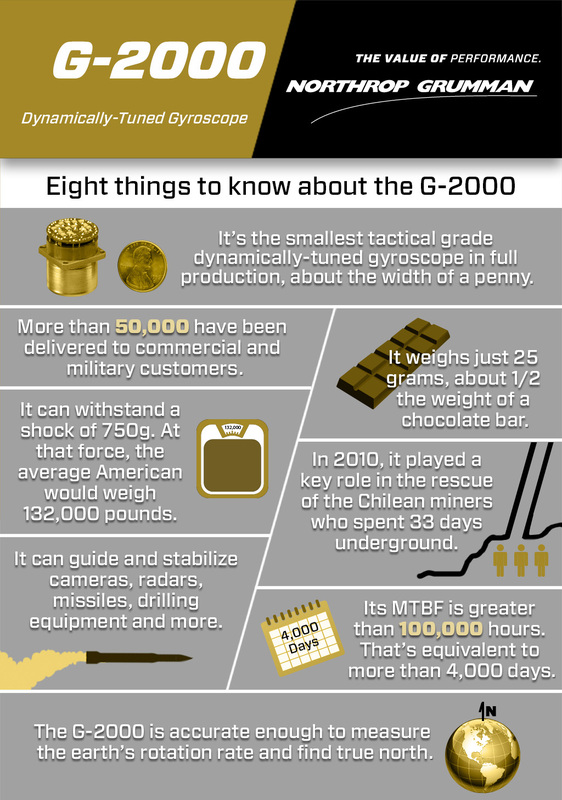 The G-2000 is used for both military and commercial applications by domestic and international customers. The gyroscope is especially suitable for environments that are subject to high shock forces. Early next year, Northrop Grumman plans to introduce the LRS-2002, a digital G‑2000-based, two-axis turn-key rate sensor that offers the proven performance of the G‑2000 with a programmable digital output — packaged for lower cost, smaller size and simplified integration.